COVERS UP TO 3500 sq. 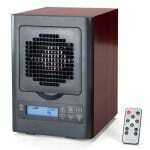 ft. Ultra Quiet 5 speed fan in the 6 Stage Digital Air Purifier covers up to an amazing 3,500 square feet. This is made possible with its modern variable speed motor. Its 5 speed fan can be set so quiet you can hardly hear it and easily sleep while it is running. You can also set the quiet fan speed to its highest level for maximum air cleaning (up to 3500 square feet). Remote Control and sleep mode makes it easy to control. When using the 6 stage digital air purifier for maximum cleaning effectiveness should be placed at breathing level. With the remote control it can be easily be placed and controlled anywhere. 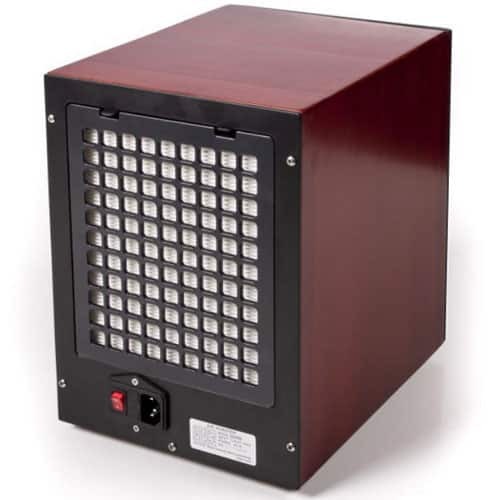 LED Display and Timer – From the display you can adjust the number of square feet you want to clean AND adjust the fan speed (5 different speeds). For example is you have 2000 square feet of space that needs cleaned you can set it to 2000 square feet. Durable long lasting attractive wood construction with Stainless Steel internal parts for years of worry free use. Attractive enough to be proudly displayed in any room. 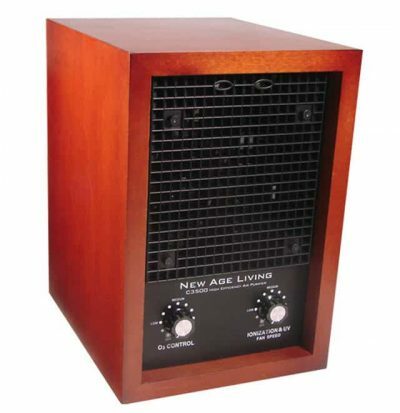 ATTRACTIVE AIR PURIFIER With Black finish has a high end look this appliance is attractive enough to proudly be displayed in any room. 1. HOSPITAL GRADE WASHABLE HEPA Filter. 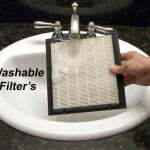 HEPA Filter is long Lasting WASHABLE filter that filters down to 99.97% and can filter to an amazing .1 Micron. Not only will you save money with this washable HEPA filter but this high end Air purifier removes allergens, contaminants, dust and pollen from your home or office. 2. 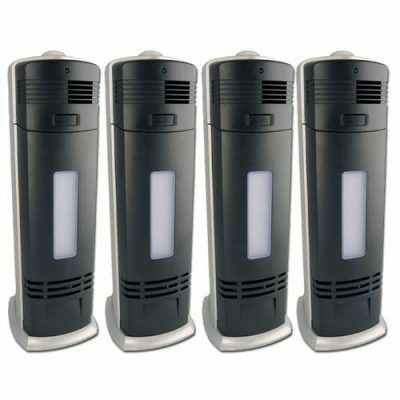 UV GERMICIDAL LIGHT Safely takes airborne bacteria, viruses, odors and germ microbes and destroys them. Tests had proven that all viruses are susceptible to UV light for complete eradication. Germs that cause influenza are spread up to three feet when someone who has the flu coughs or sneezes. 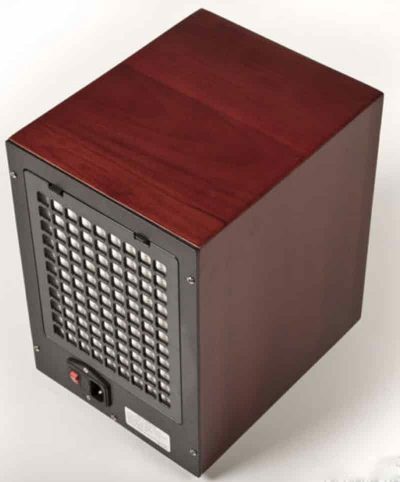 Help keep the flu at bay with help from this next generation modern Air Purifier. Unlike other models comes with large powerful UV. 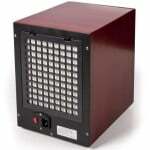 Unlike other models on the market this has a very powerful UV Spectrum of >20 uW/cm². 3. 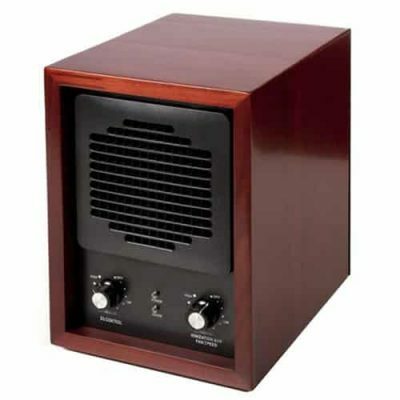 ACTIVATED OXYGEN 03 Ozone Generator– Optional may be turned on or off or adjusted by the user. This is the best model of Ozone Air Purifier money can buy. Ozone can be easily adjusted based on the number of square feet needing to be cleaned (up to 3500 square feet). Also it comes with a digital timer you can use if you choose. By pushing a button you can set the Air Purifier in Ozone mode to run for 30 minutes, or 1 hour, or 2 hours at which time the unit turns off. For powerful Odors like smoke and other powerful odors user may turn on the Activated Oxygen Ozone Generator in unoccupied spaces that keeps your air smelling clean and fresh. It cleans the air similar to how nature can clean. Ozone, being one of natures most powerful oxidizing (odor removing) agents, attaches to airborne pollutants, and through the process of oxidization, breaks down the molecular structure and neutralizes, or destroys, the odor producing pollutant. This is the same process found in nature to clean and purify the air and why your air can now be clean as well. 4. 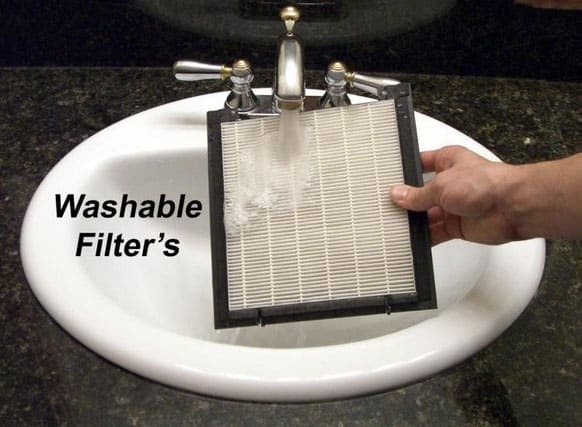 Washable Tio2 PHOTO CATALYTIC FILTER. Improved performance when used in conjunction with UV removes mold spores, odors and bacteria causing diseases. 5. CHARCOAL FILTER Large Activated Carbon Charcoal filter. Charcoal filters are proven to safely removes odors and from your air. 6. 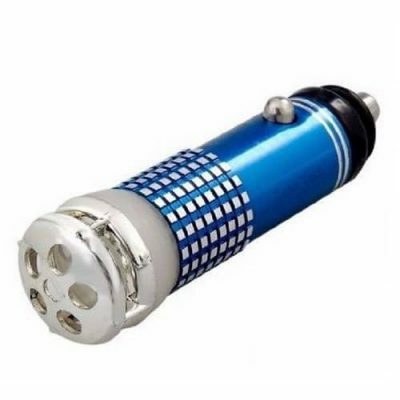 NEGATIVE ION FILTRATION Adjustable negative ion generators remove contaminants such as smoke, pollutants, allergens, bacteria, and viruses which lead to a variety of health concerns. Adjustable to different levels and can be turned on and off. Specifications – The 6 Stage Digital Air Purifier has a power consumption of only 50 watts, 120 volts, 5 stage Fan Speed, Ion Ouput = 5,000,000 /cm cubed (powerful), UV Spectrum >20 uW/cm² (powerful UV), Sound level = 20 db to 52 db depending on fan speed (quiet), Air Moved of 108 CFM, weight = 15.5 pounds, size = 12 x 9 x 12 (compact and powerful), dust and allergen filtration rate of 99.97% (True HEPA).